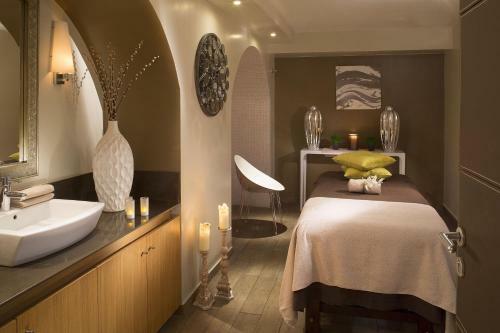 With a fitness centre and a spa with hammam, Hotel Le Six is a luxurious boutique hotel located in the heart of Paris. It is a 5-minute walk from the Luxembourg Gardens and Notre-Dame-des-Champs Metro Station. A flat-screen TV with satellite channels and air conditioning are basic facilities in rooms at Hotel Le Six. Each is contemporary in style and offers an en suite bathroom with luxury products, bathrobes and slippers. Blending cream and chocolate tones, a buffet breakfast is served in the elegant breakfast room. In the evening, guests can relax in one of the lounge bar’s armchairs and try a cocktail from the large menu. 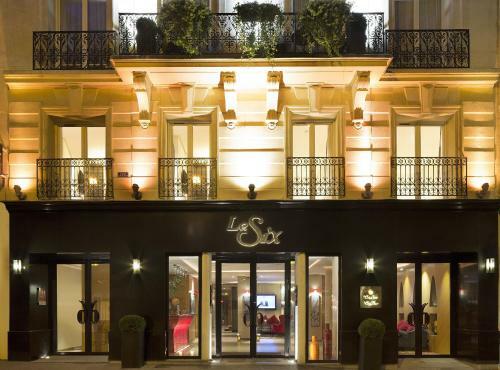 In the heart of the Latin Quarter, Hotel Le Six is 10 minutes from Saint-Sulpice and Saint-Germain-des-Près. Local transport leads directly to sights such as the Sacré Coeur, Place de la Concorde and Ile-de-la-Cité. 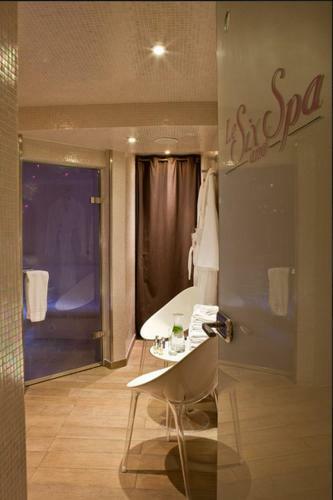 Use of the spa is free for guests, with prior reservation. These air-conditioned rooms offer a flat-screen TV with satellite channels, a minibar and coffee making facilities. They have a view of the inner courtyard or of a typical Parisian street. The bathroom comes with a bathtub or shower, hairdryer and heated towel rail. Bathrobes, slippers and L'Occitane toiletries are also offered. This soundproofed room has an iPod dock, a minibar and a flat-screen TV with satellite channels. Some of these rooms feature a private balcony with a view of the courtyard. The extra bed is only available in this room. These rooms offer a flat-screen TV, inner courtyard view, a minibar and coffee making facilities. The private bathroom comes with a shower or bathtub, a hairdryer and heated towel rail. Bathrobes, slippers and L'Occitane toiletries are also offered. 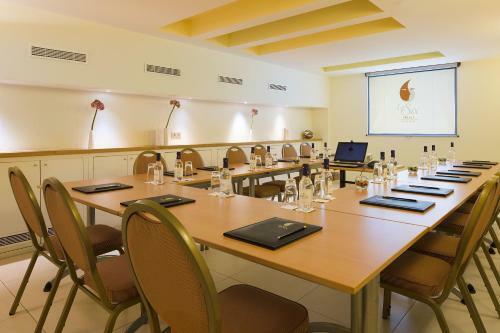 Rate: € 187.00 ... € 452.00; select dates below to get current rates. Facilities in the suite include: - A separate seating area - An inner courtyard view - A Nespresso Coffee machine - An iPod docking station - A private bathroom with free toiletries, a hairdryer and slippers. The extra bed is only available in this room.